Below are a few short examples to creating PyQt apps and getting a window on the screen. If this works you know you have Qt set up correctly & you can start creating your applications! The following examples are written for Python 3 with PyQt5, but can be easily adapted for other versions. 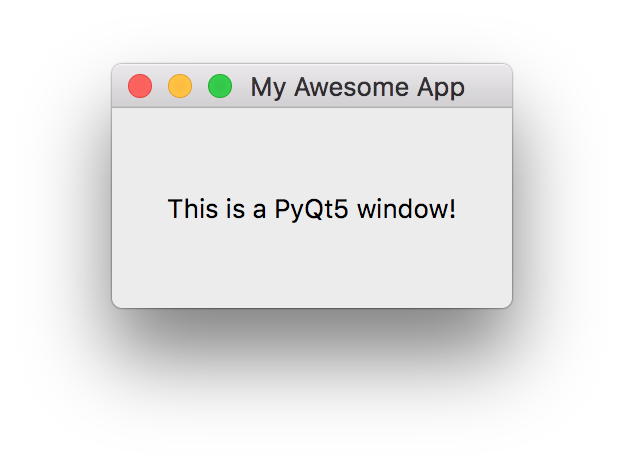 PyQt5 is not officially supported on Python 2.7, and trying to use it just makes things more difficult. If you *can * use Python 3 you should. Below is a bare-minimum PyQt application, which actually doesn't even include a window. If you run it "nothing" will happen, but it should work. # You need one (and only one) QApplication instance per application. # Pass in sys.argv to allow command line arguments for your app. # If you know you won't use command line arguments QApplication() is fine. Stepping through the code line-by-line, we start by importing the PyQt5 classes that we need for the application, from the QtWidgets submodule. Next we create an instance of QApplication, passing in sys.arg (which contains command line arguments). This allows us to pass command line arguments to our application. If you know you won't be accepting command line arguments you can pass in an empty list instead, e.g. Finally, we call app.exec_() to start up the event loop. If you watch the console while your application is running you'll notice it does not reach the print("Finished") until you exit the app. This is because Qt sits in the app.exec_() event loop until the application is quit. If you need anything to happen during start-up it should be before this line. Usually a simple solution is to handle setup during the __init__ for your main window object. The last example was pretty boring, because there was nothing to see. 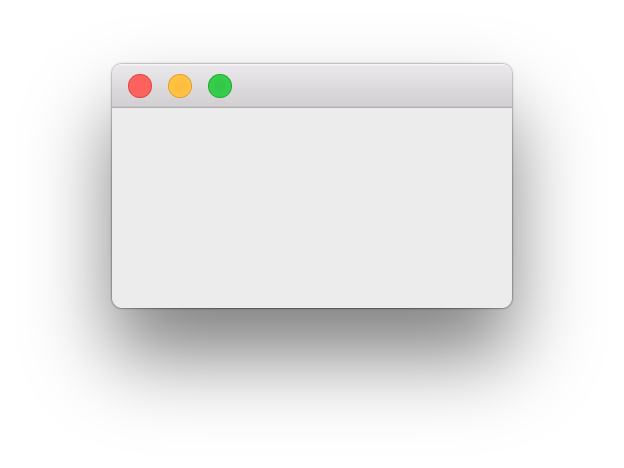 Let's add a window to our desktop application so we have something to look at. The code below is a bare-minimum single-window application in PyQt. window.show() # IMPORTANT!!!!! Windows are hidden by default. Running the above you should see an empty window on your desktop, the below is the appearance on Mac OS. Exciting isn't it? So that was still pretty dull, just opening up an empty window on your desktop. Let's make it a little bit more interesting by adding a basic text QLabel widget. A QMainWindow can only hold a single widget, which you set via .setCentralWidget(). If you want to add more widgets and arrange them, you need to use Qt layouts. # to take up all the space in the window by default. When you run this you should see the window on your desktop as before, but this time also with the label from the QLabel visible in the middle. The window is resizeable by dragging the edges, and the alignment setting should keep the text centered in the window.